ASO, organizer of the test, has announced that it will shorten two sections of pavés. In addition, the peloton will honor the memory of the deceased cyclist during the race in 2018. 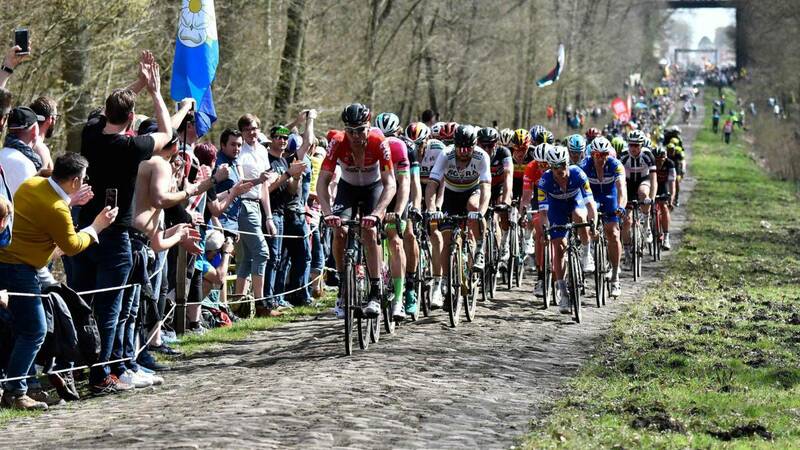 ASO, organizer of the Paris-Roubaix, has announced changes for the 2019 edition of the French classic. The route will have another year with 257 kilometers between Compiegne, east of Paris, and the velodrome of Roubaix. Within this distance, cyclists will face a hell of 29 cobbled sections that make up a total of 54.5 kilometers of this type of terrain. The modifications that ASO has announced affect precisely dos sections of pavés, whose distances will be reduced. The first sector, the number 29 (the Paris-Roubaix sectors account is regressive), has been reduced from 2.2 km to only 900 meters. The other sector of pavés that will suffer "changes" will be the number 19, Trouée d'Arenberg, whose measurement by the organization of the race has been specified in 2.3 km and not in the 2.4 km that were officially listed to date. Last year, the race was marked by the falcimiento of Michael Goolaerts. The Belgian cyclist suffered a cardiac arrest that ended his life and therefore sector 28 of pavés (Pavé Chemin de Sai nt-Quentin), located between Briastre and Viesly, will be called 'Secteur Michael Goolaerts' on the initiative of ASO in memory of the former runner of the Verandas Willems-Crelan team. It should be remembered that in the same area a ceremony was held last June with the inauguration of a monument in his honor. That is why the planotón is expected to pay homage to Goolaerts as it passes through the aforementioned sector 28. After that point is over, the route will change course in the opposite direction to past editions to face the regions of Cambrésis for Quiévy (nº 26), Saint-Python (No. 25) and Vertain (No. 24). In addition, the sector Vertain was not part of the race in 2018, but it will be included in the Paris-Roubaix of this season. From the sector number 23 will remain the same usual route to the velodrome of Raoubaix.